Halle to Merseburg Sud DDR on 4-6-1984 re wiring the terminus at Merseburg Sud. 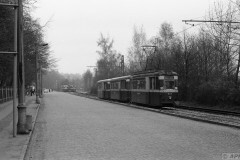 This is now line 15 terminus. 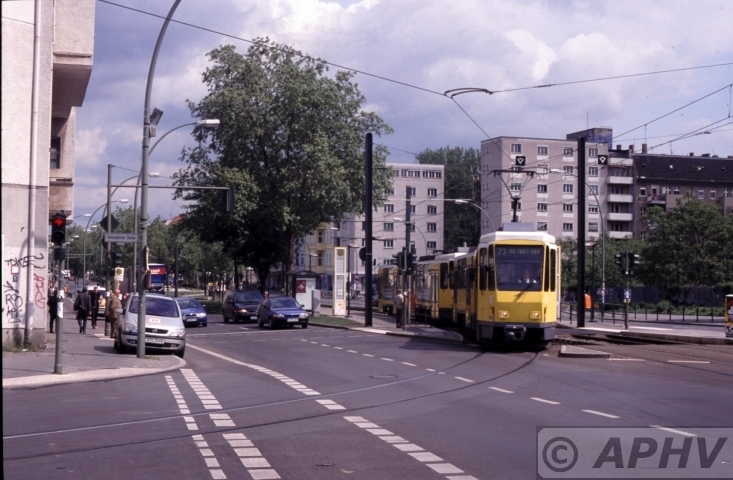 2 August 1997 Berlin Bornholmerstrasse BVG1059 line 24 at the point were East and West Germany were devided for many years. 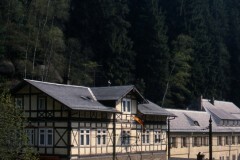 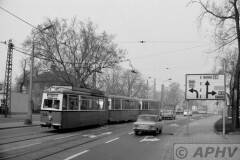 (13244′ 18 April 1980 Radebeul Ost with Tatra line5 and Wim van der Ent on the left. 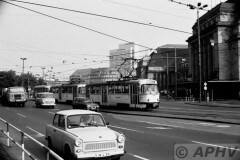 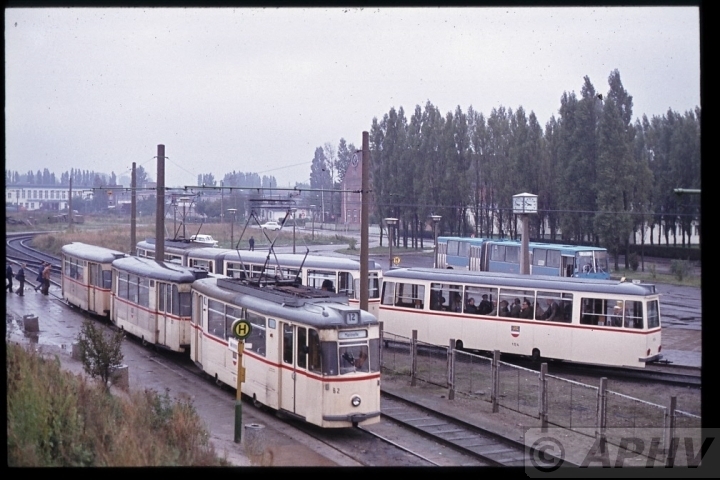 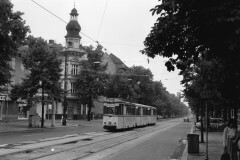 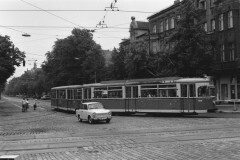 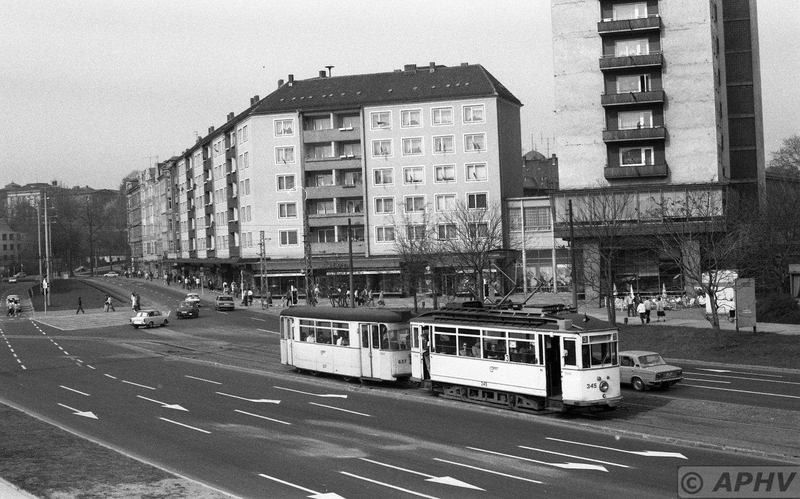 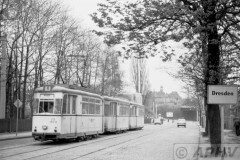 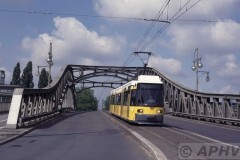 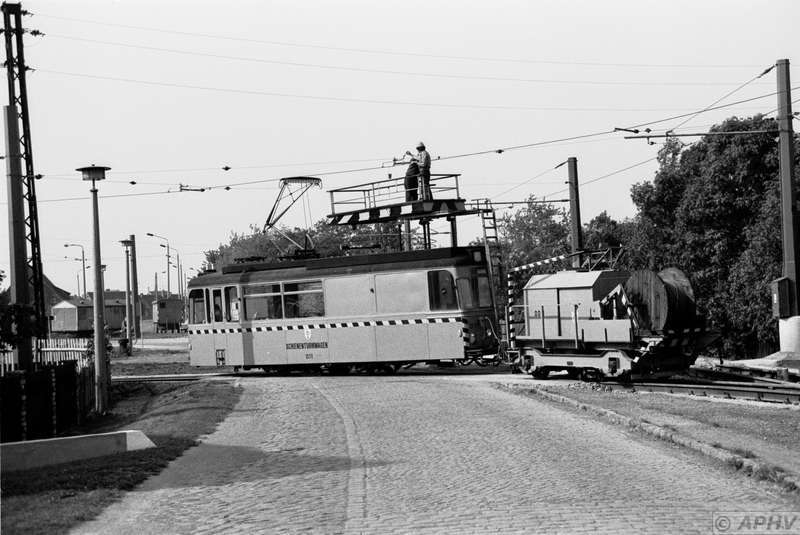 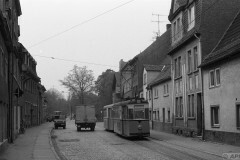 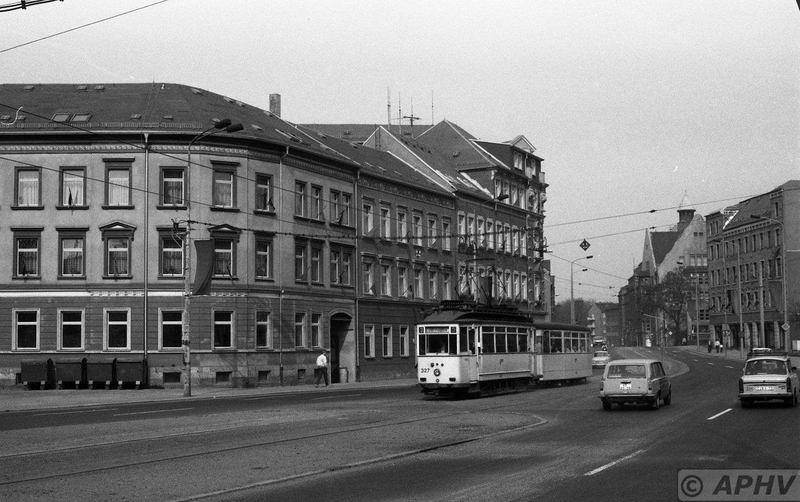 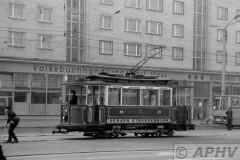 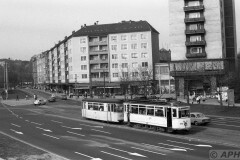 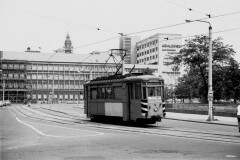 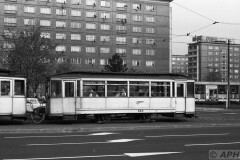 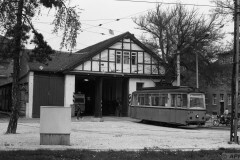 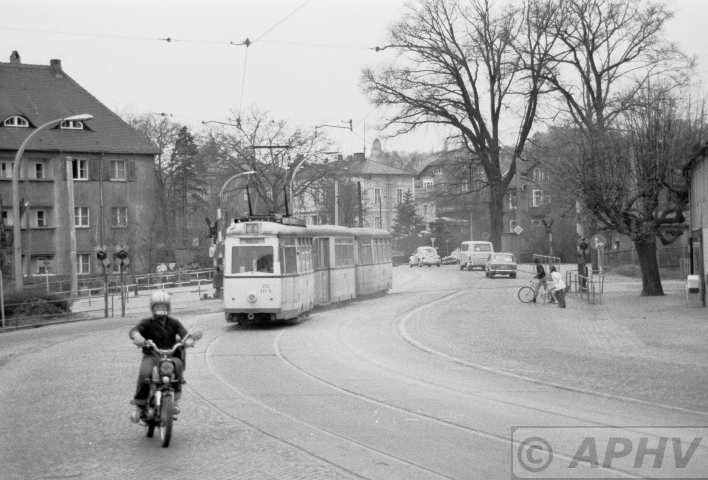 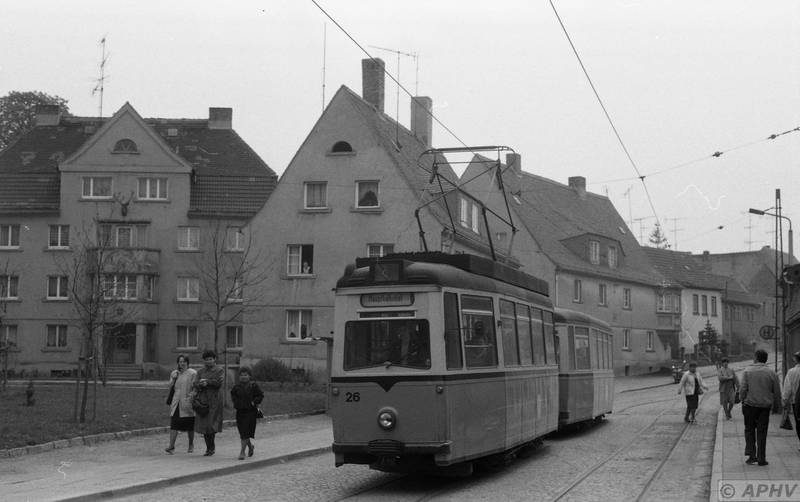 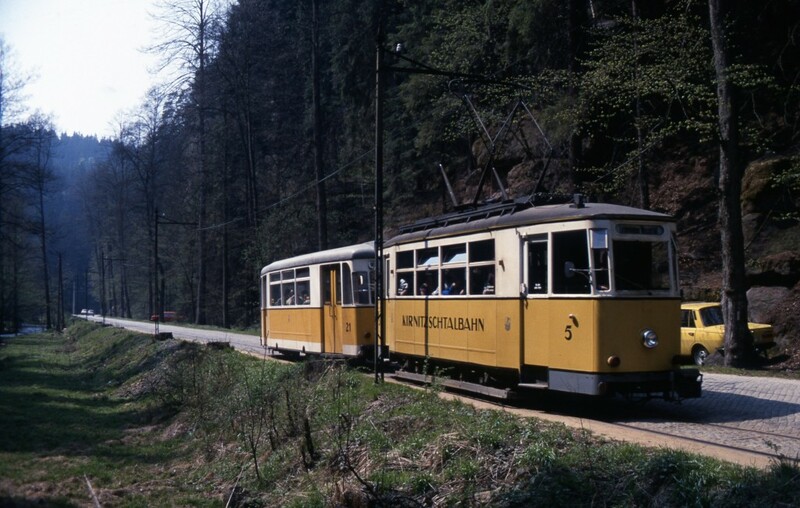 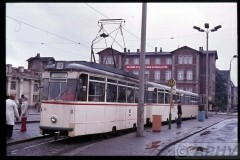 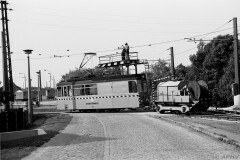 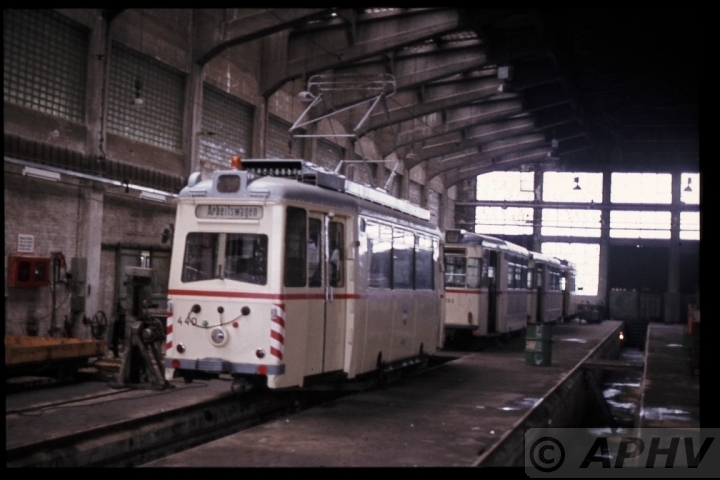 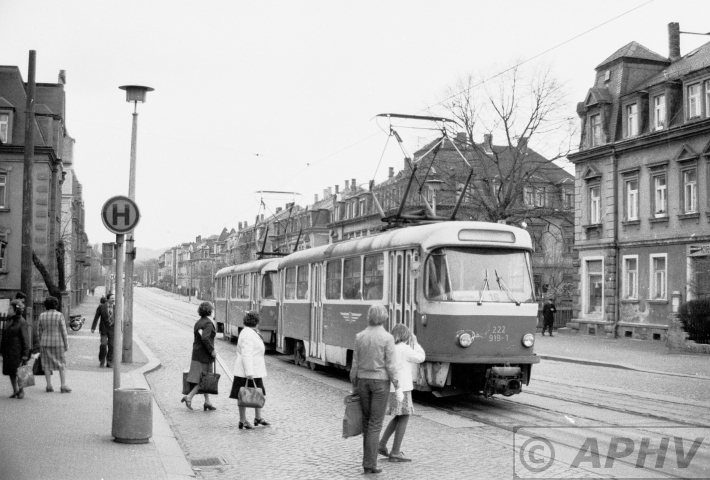 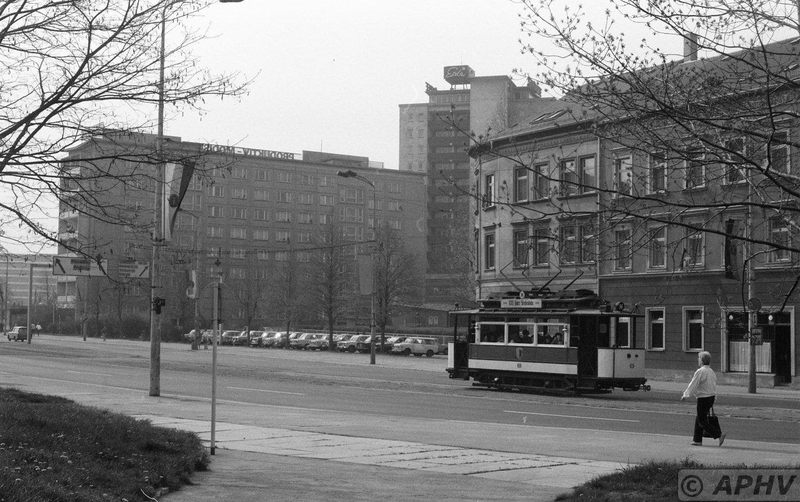 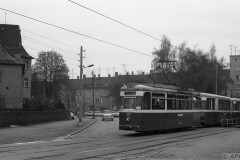 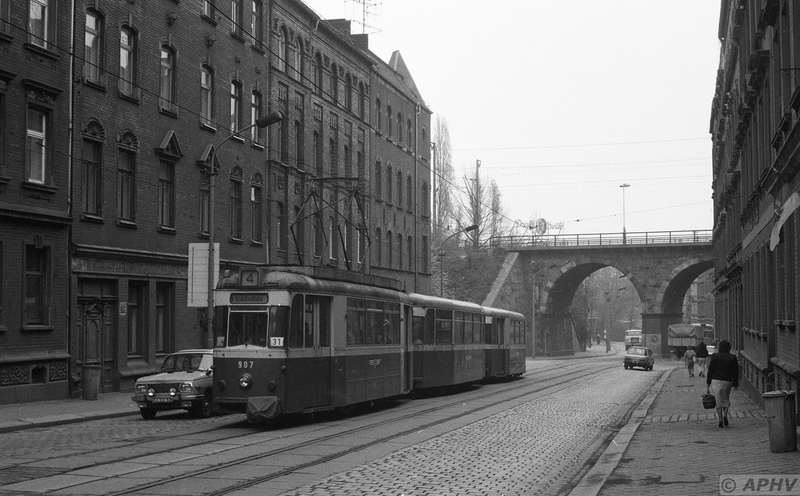 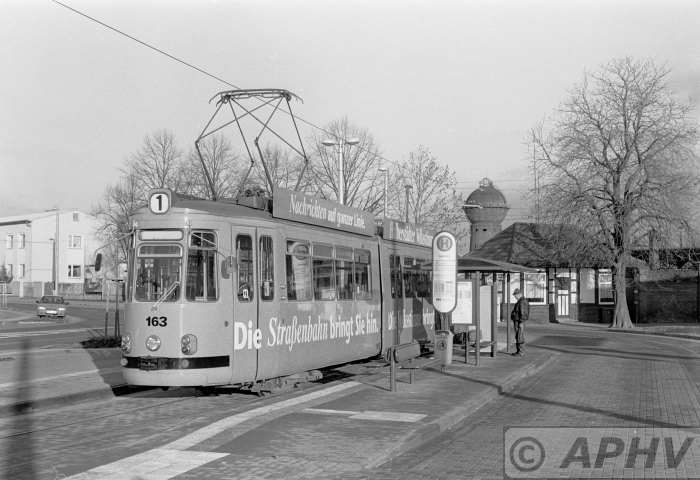 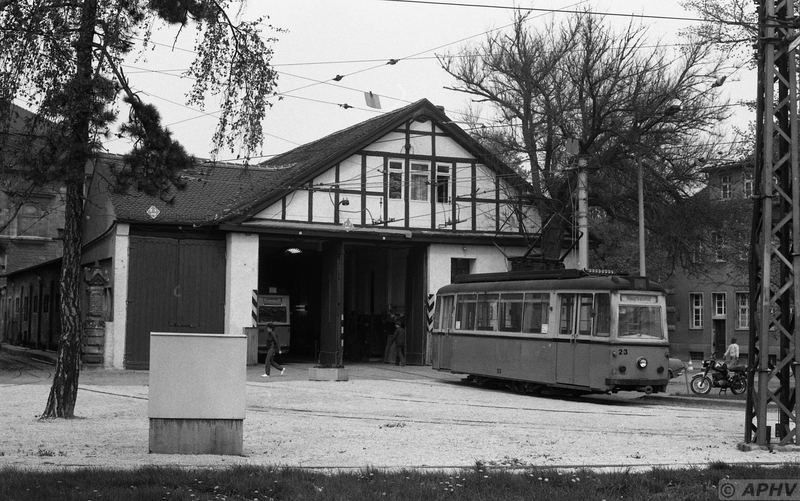 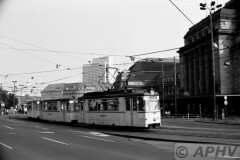 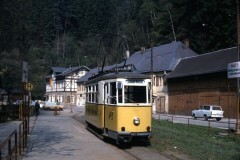 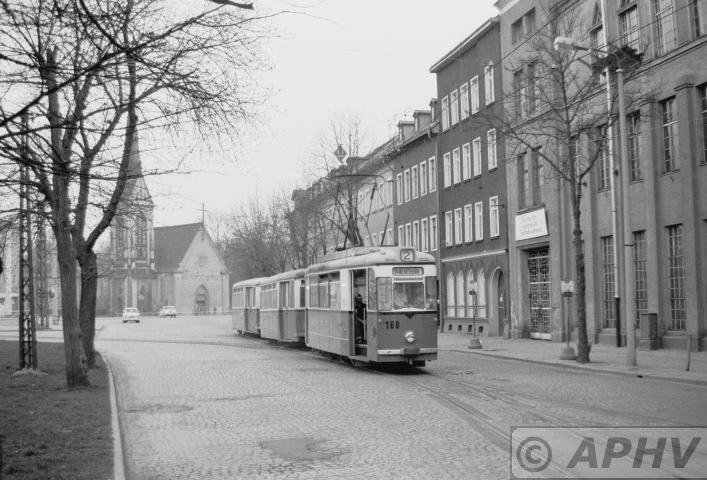 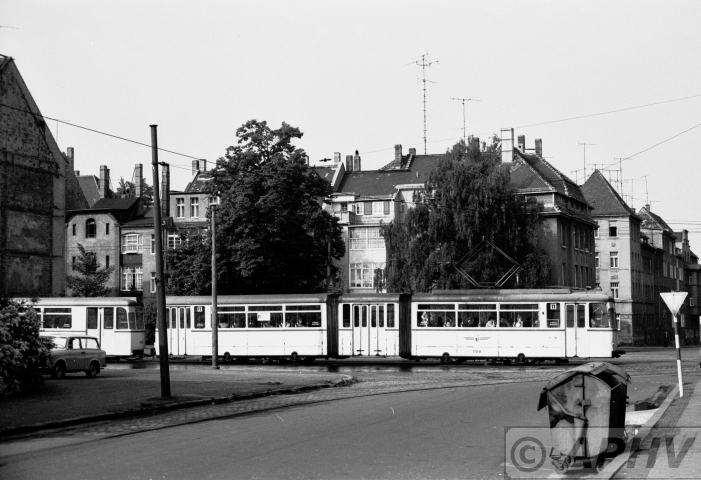 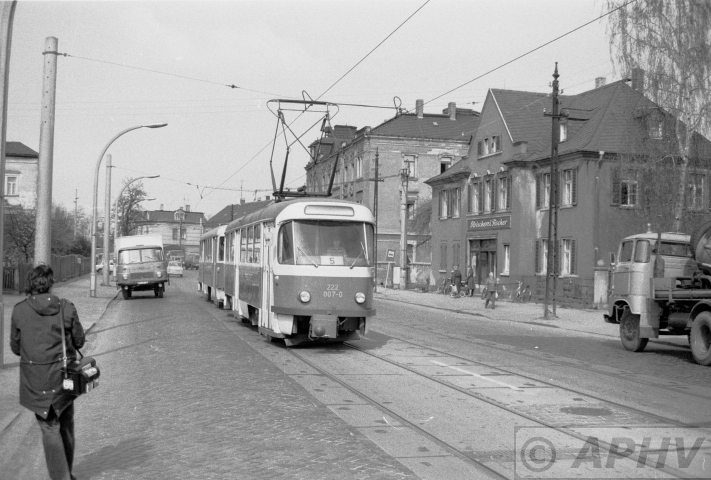 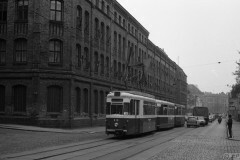 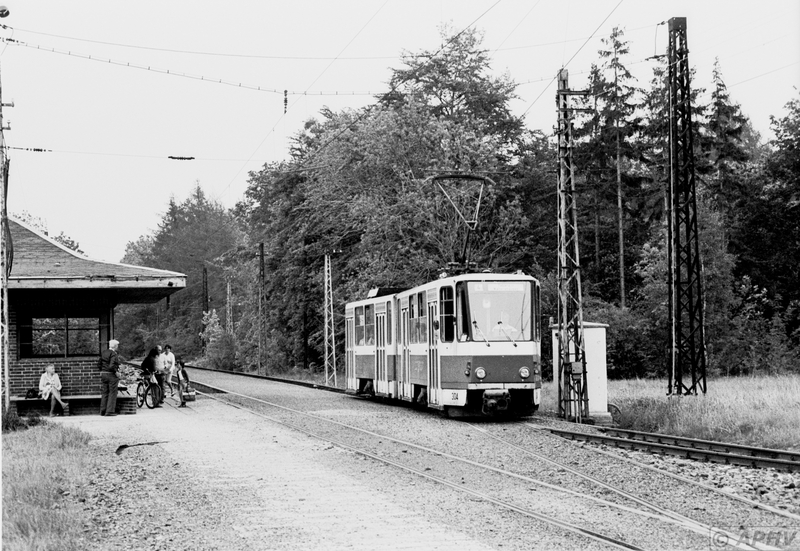 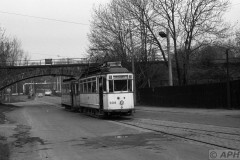 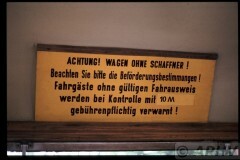 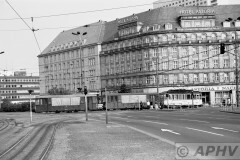 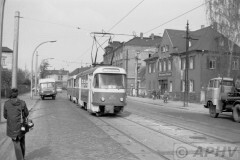 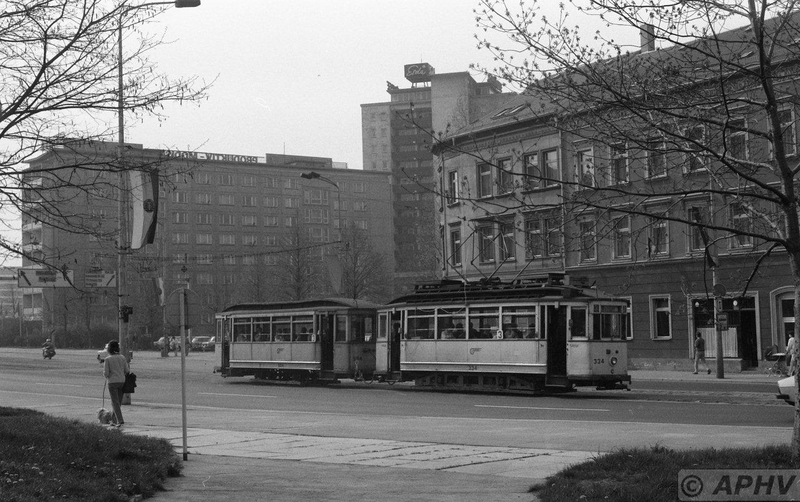 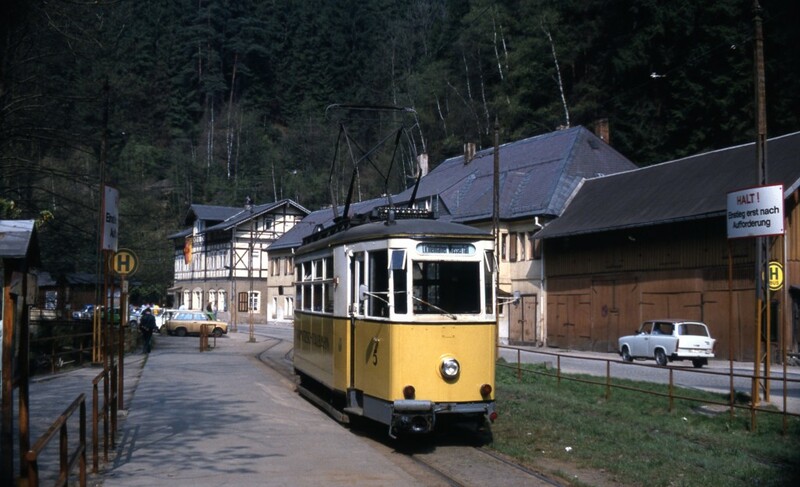 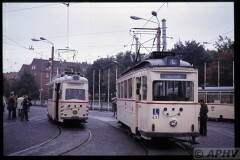 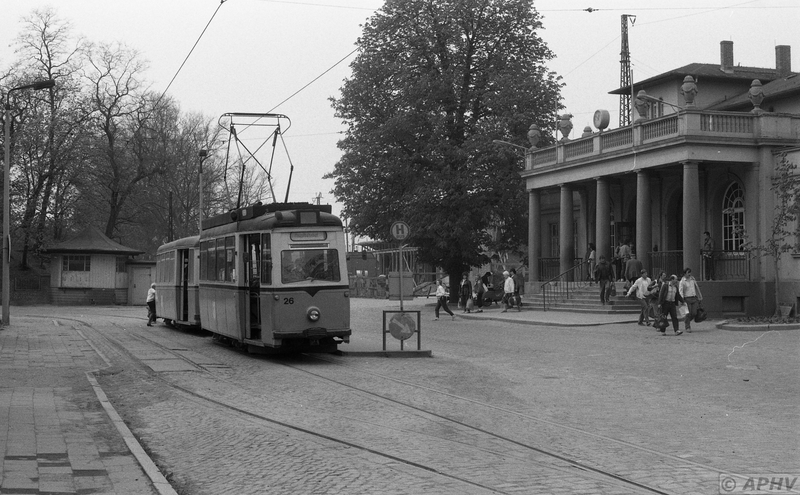 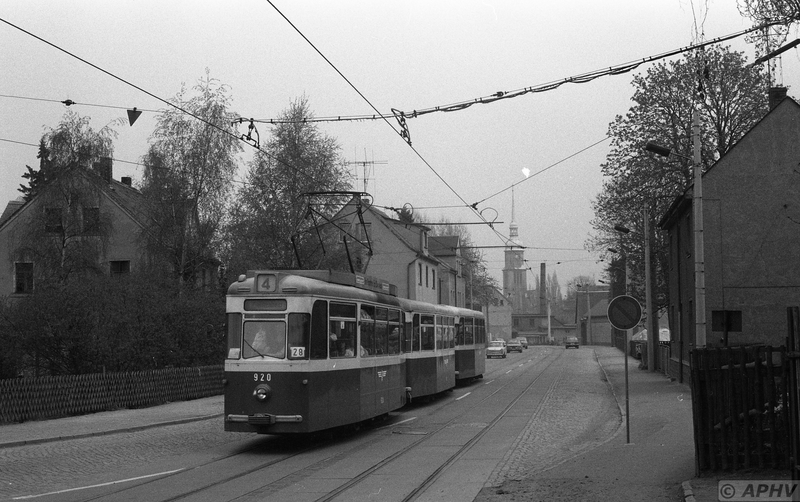 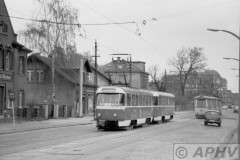 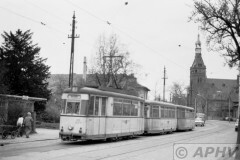 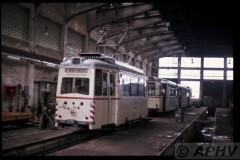 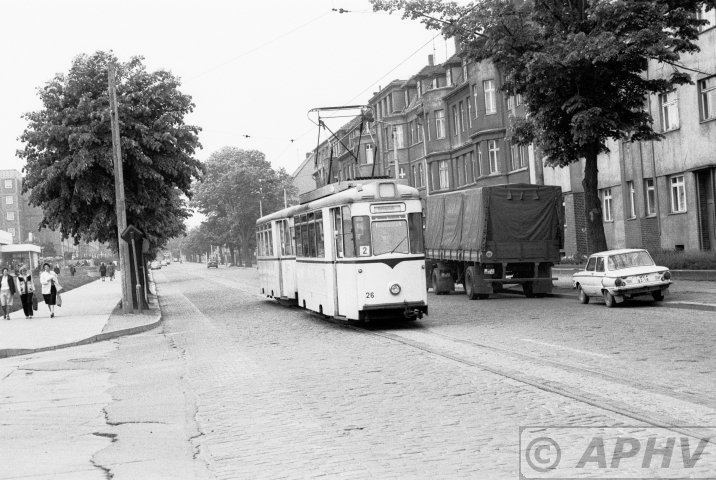 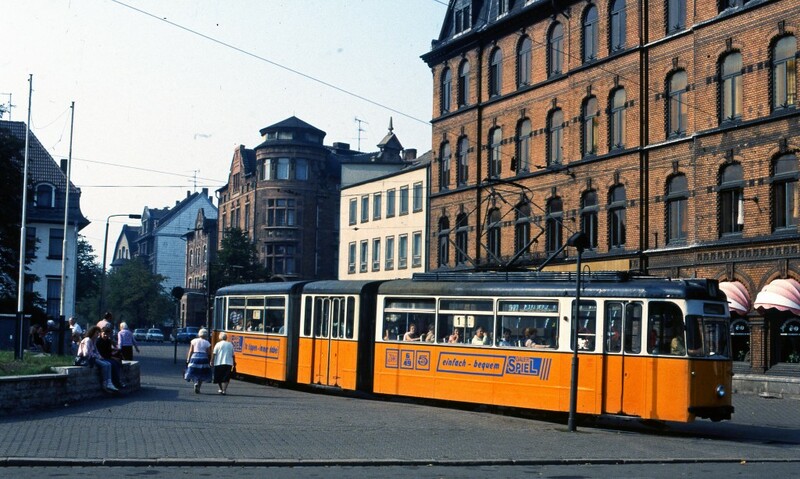 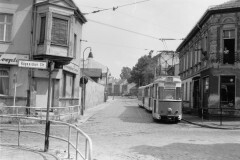 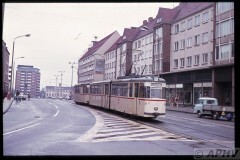 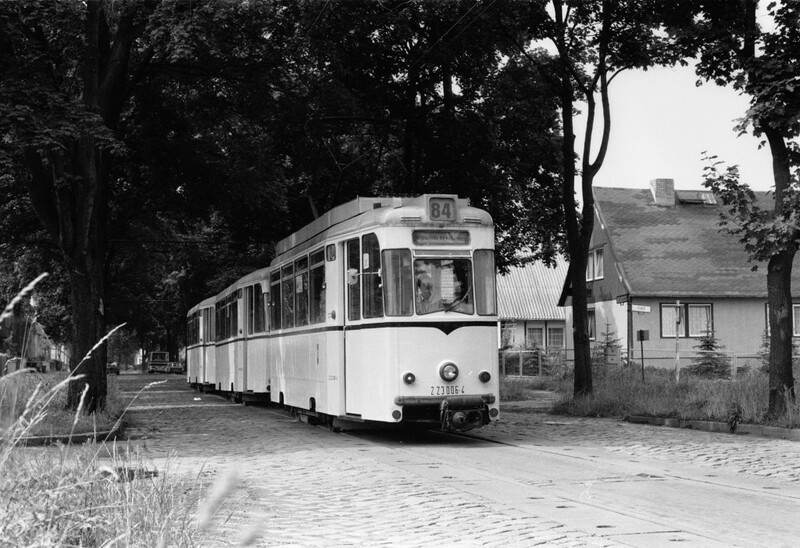 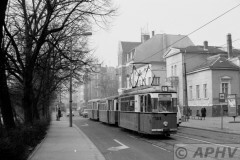 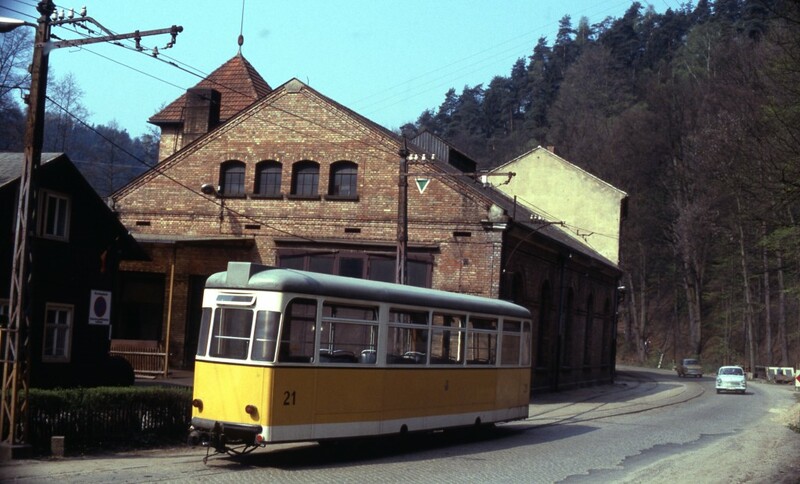 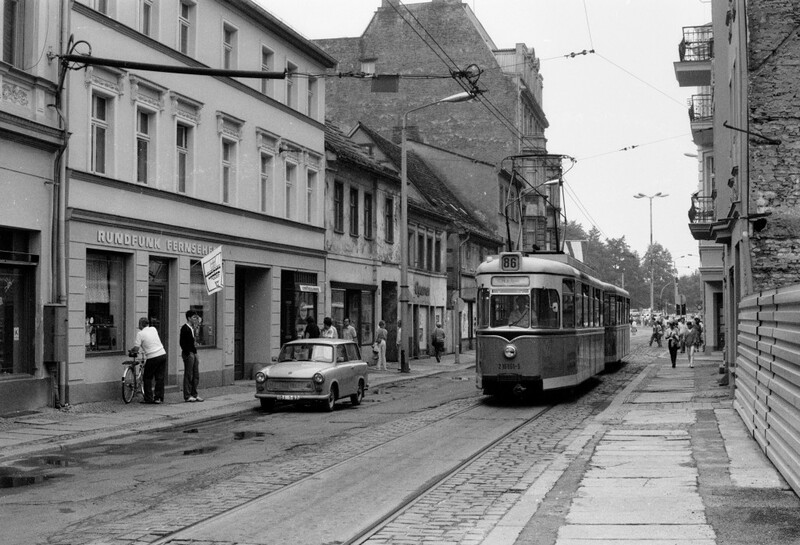 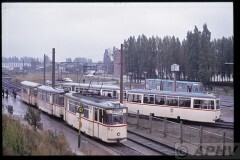 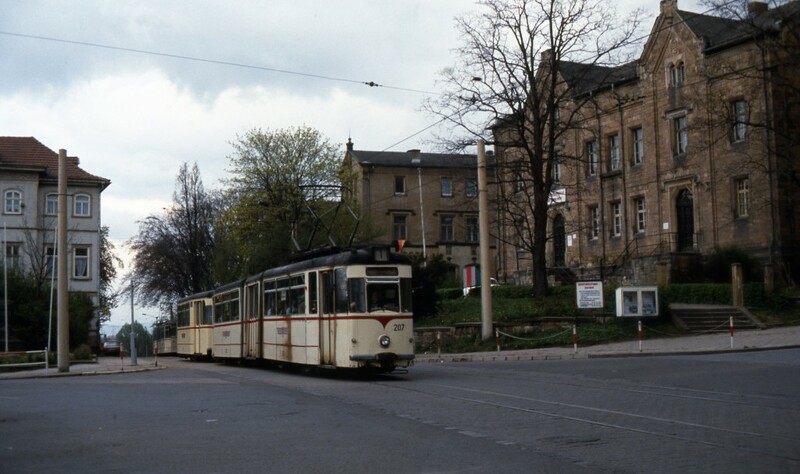 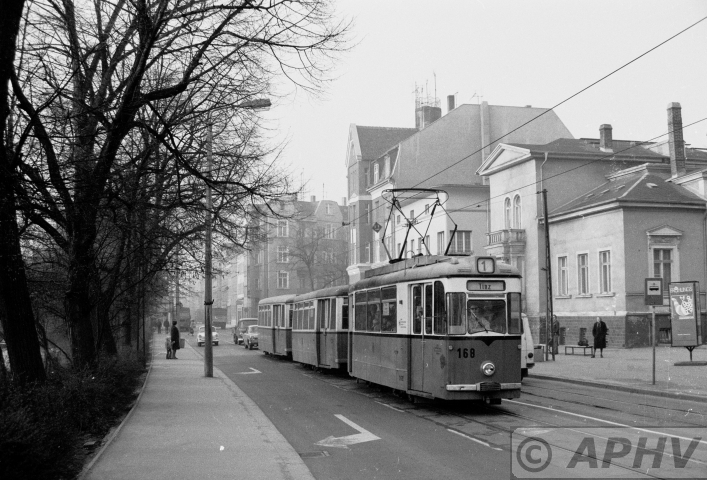 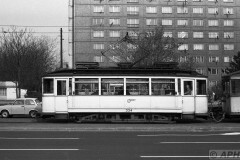 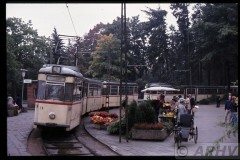 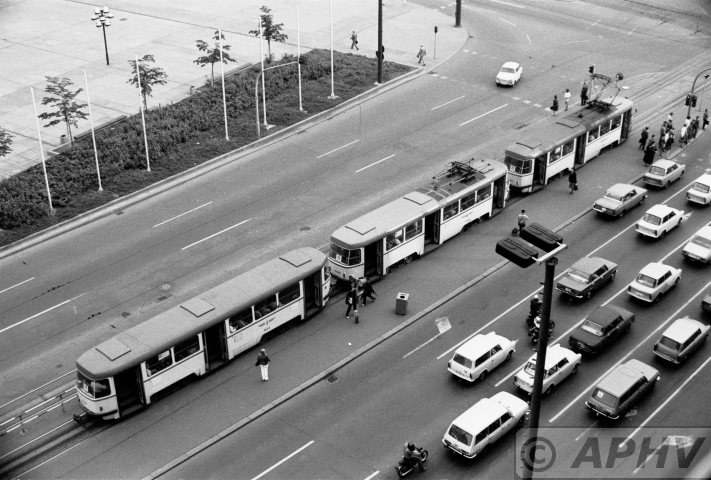 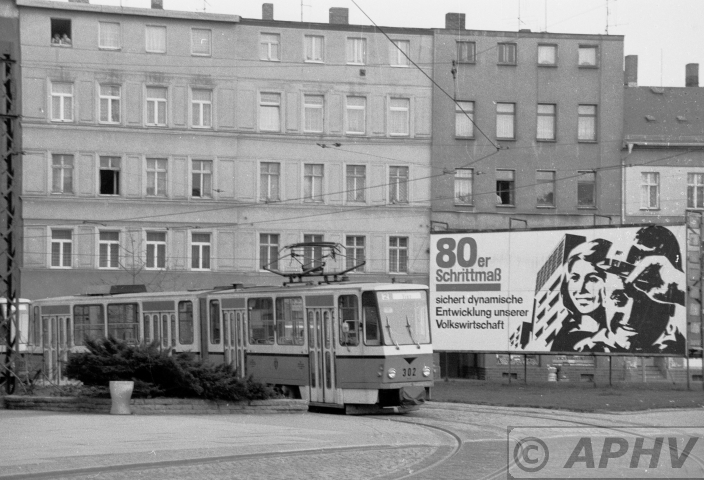 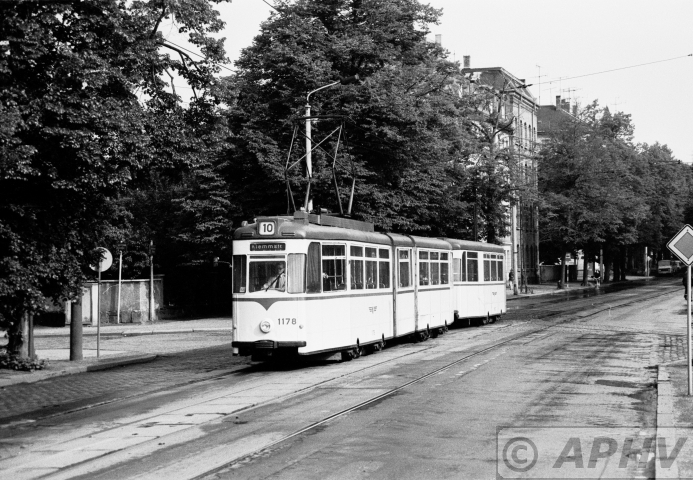 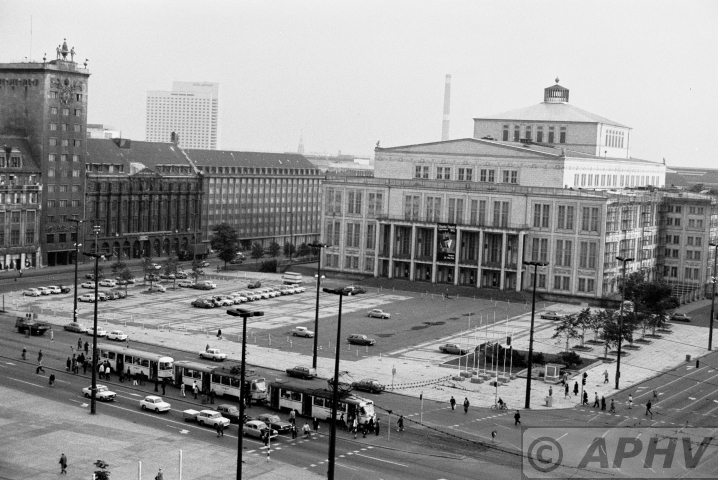 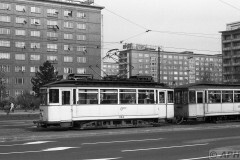 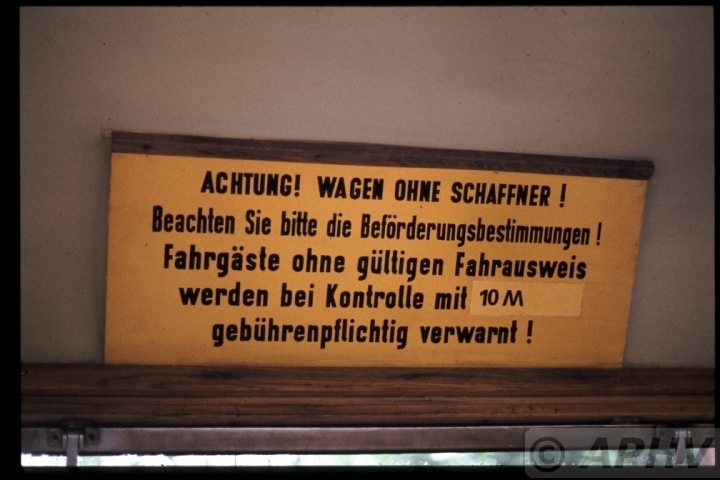 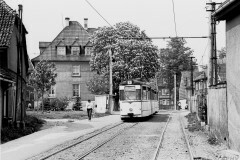 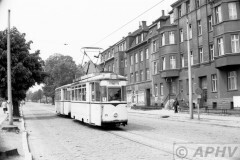 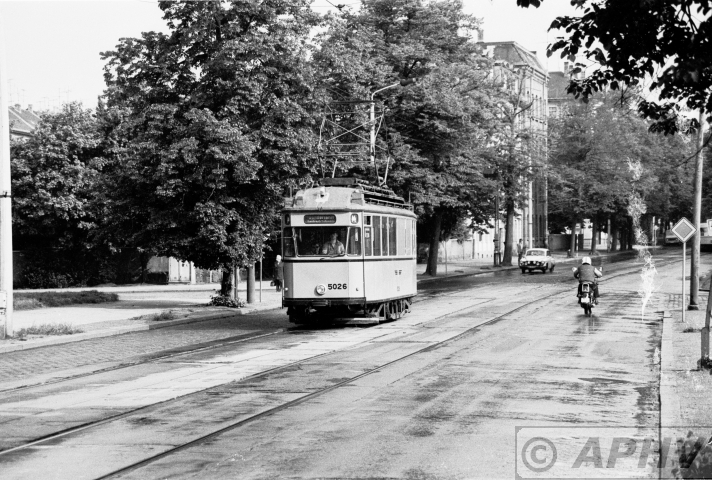 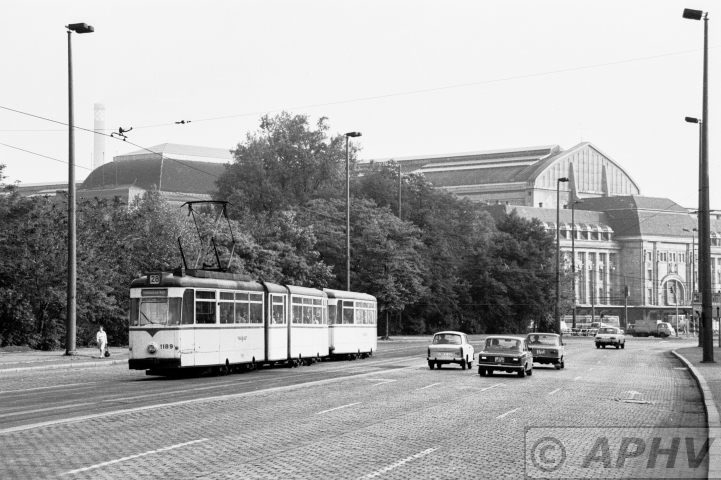 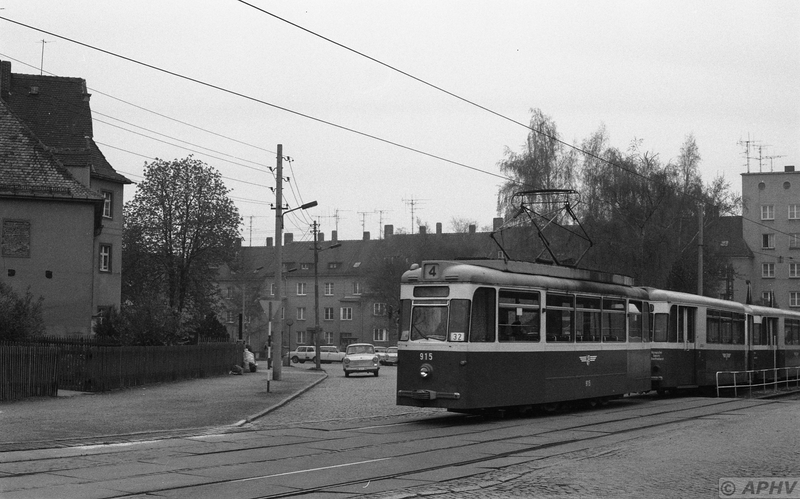 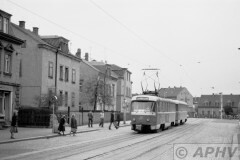 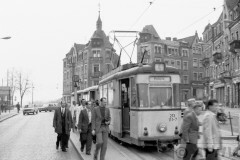 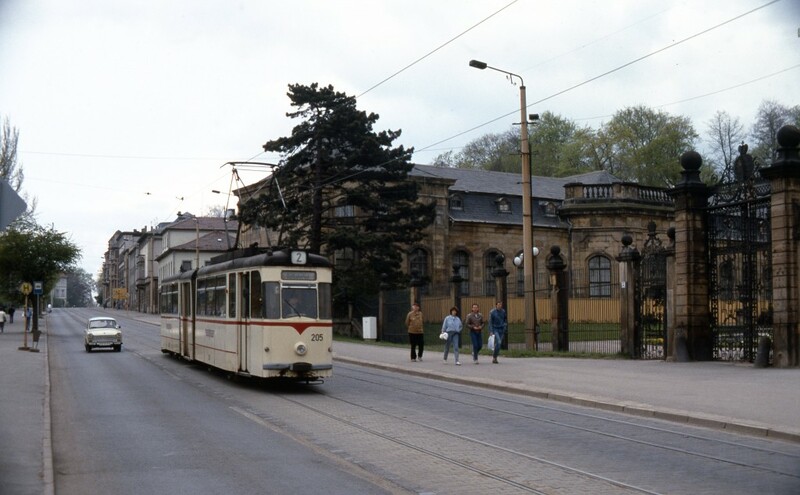 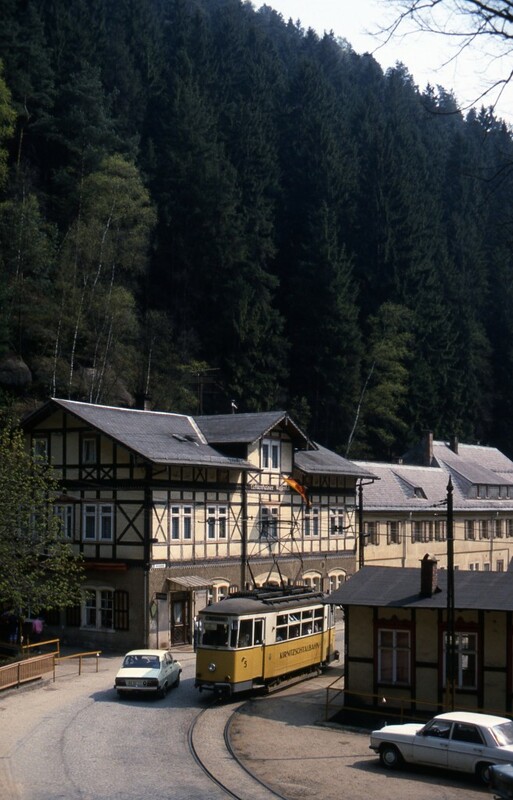 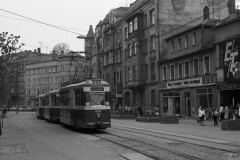 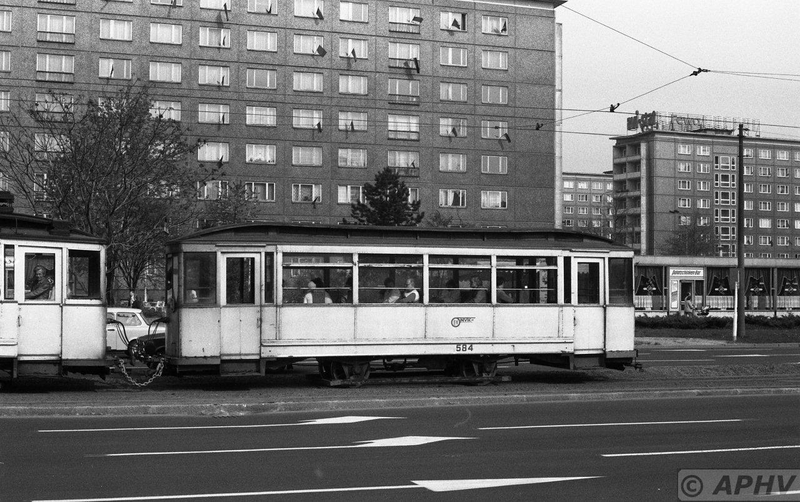 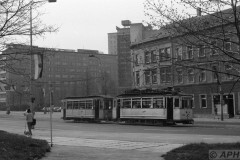 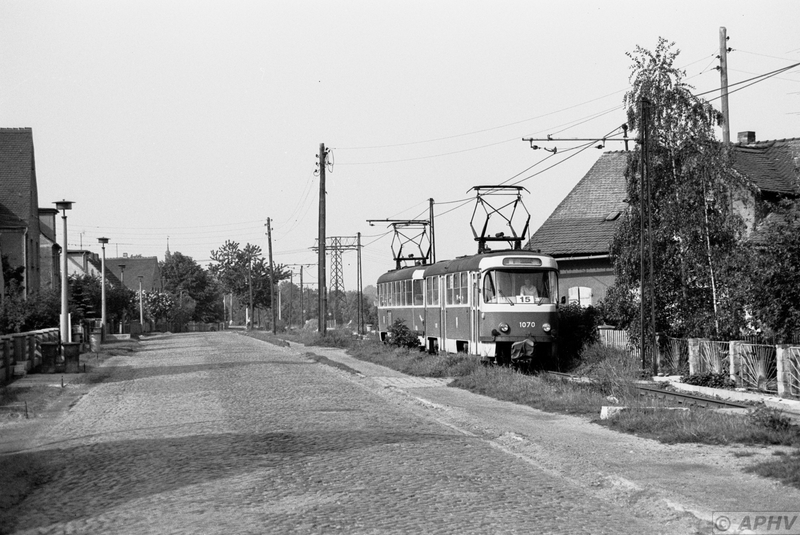 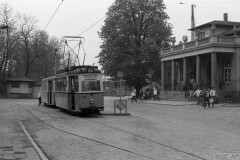 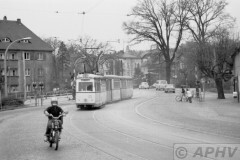 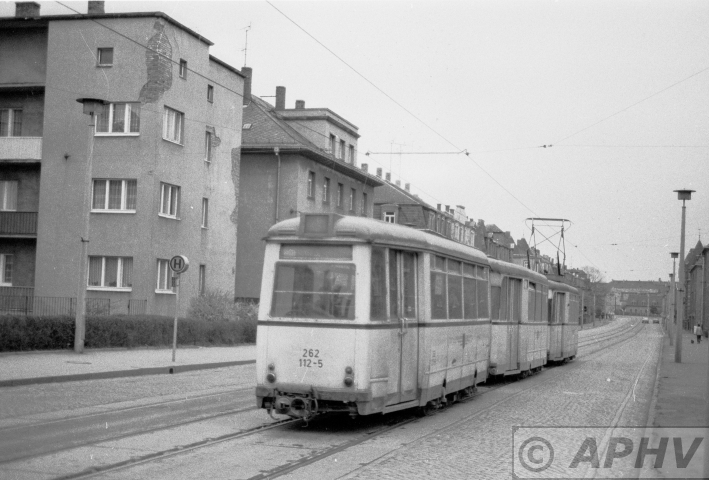 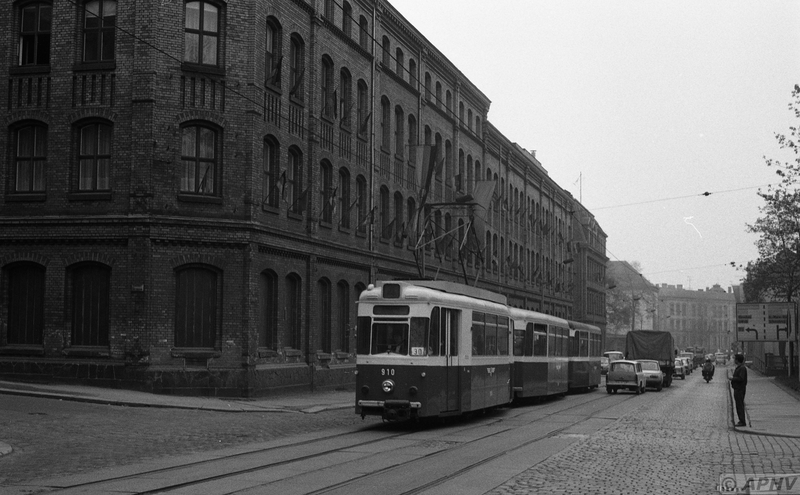 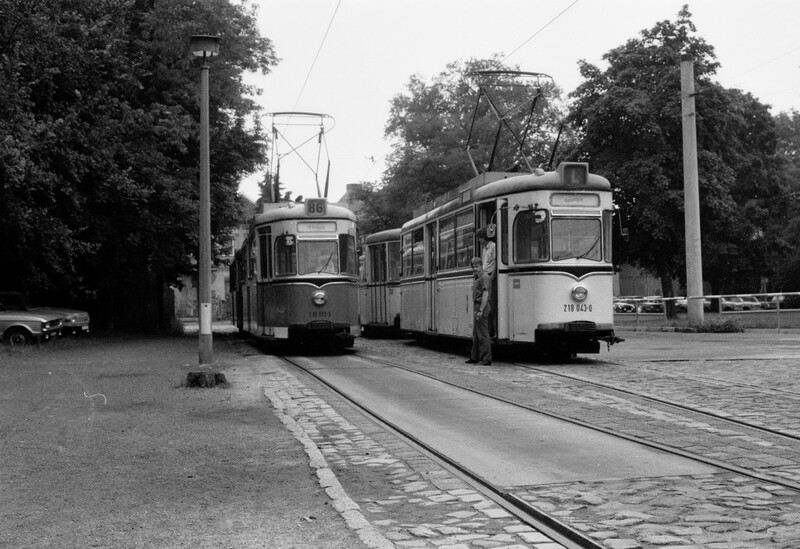 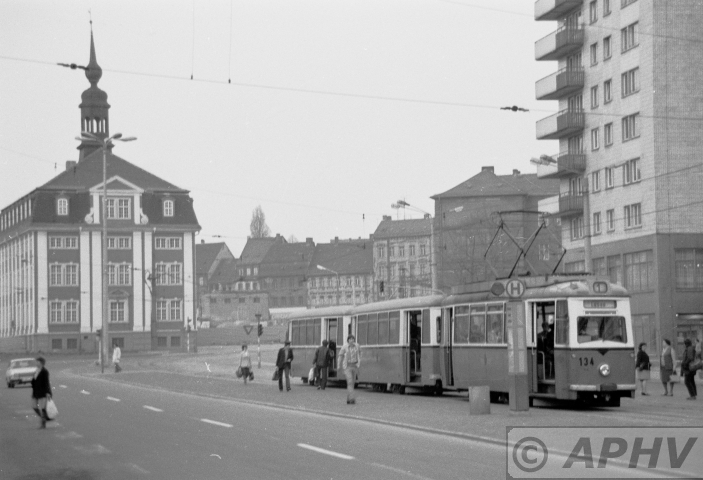 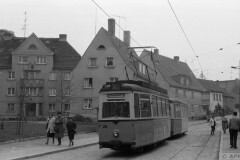 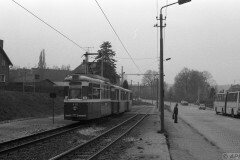 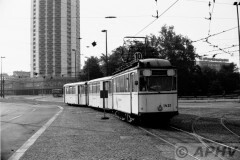 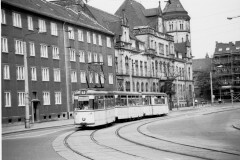 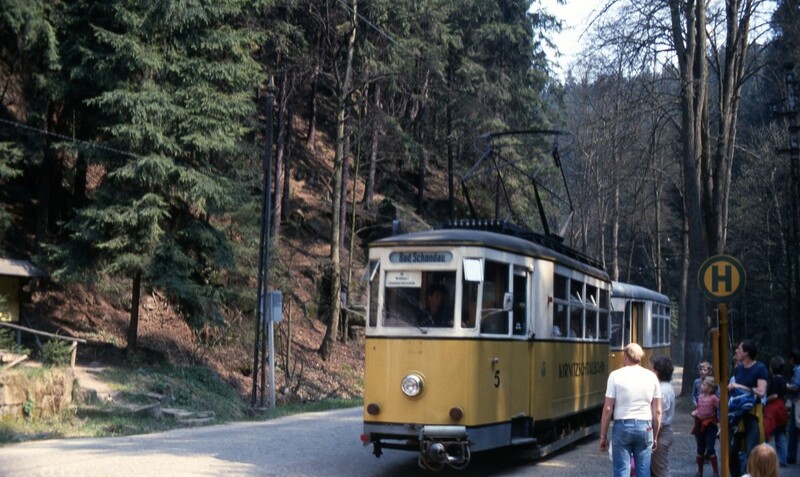 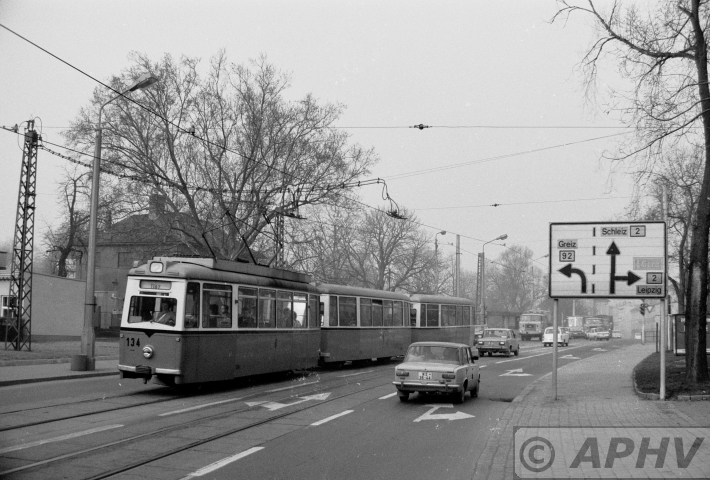 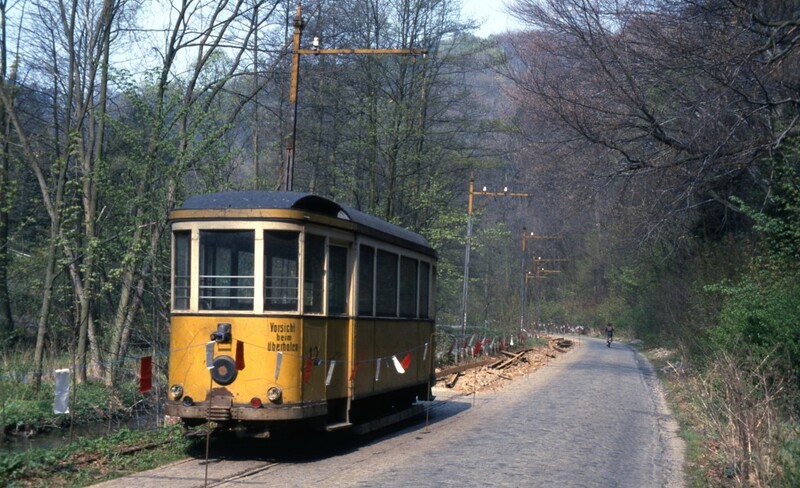 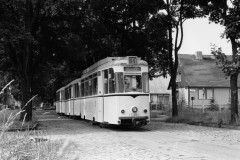 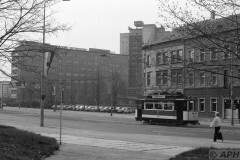 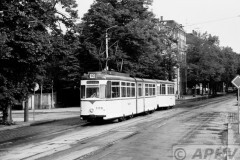 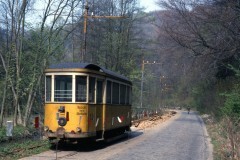 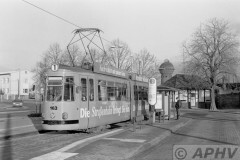 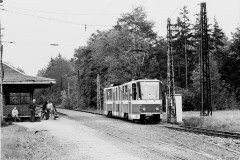 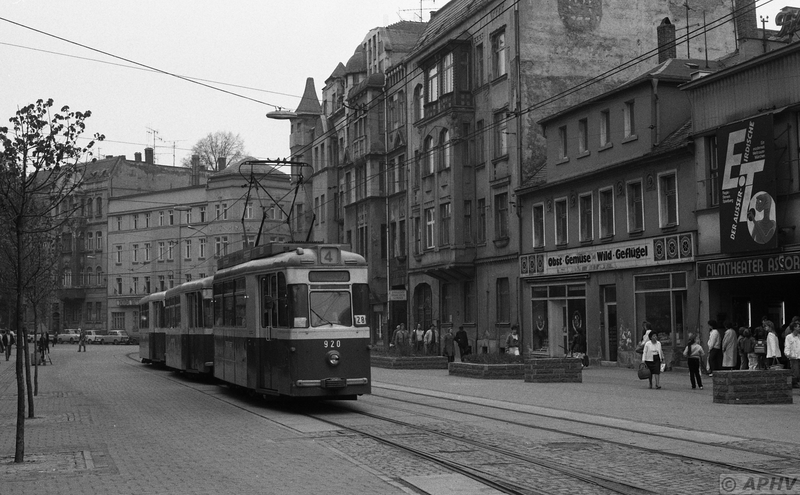 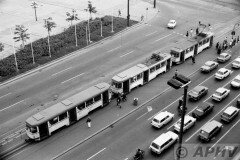 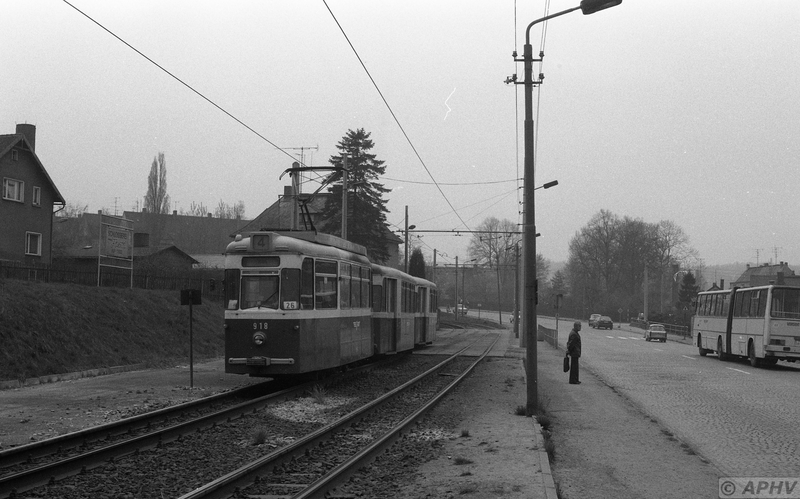 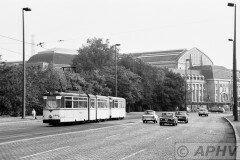 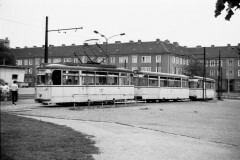 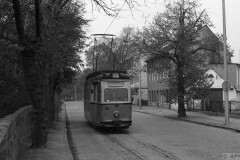 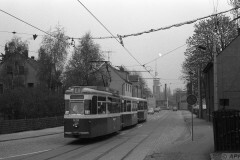 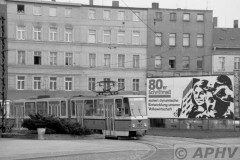 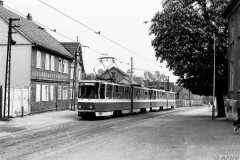 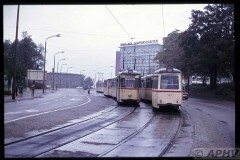 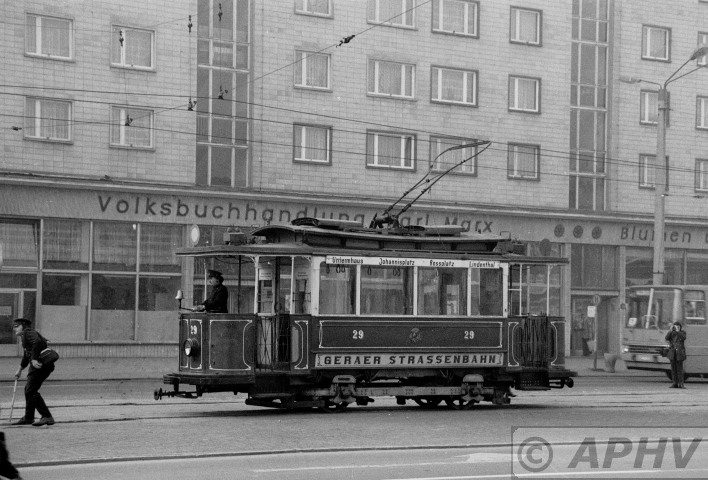 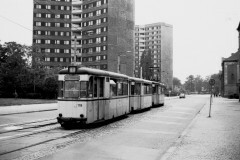 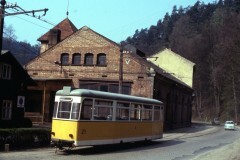 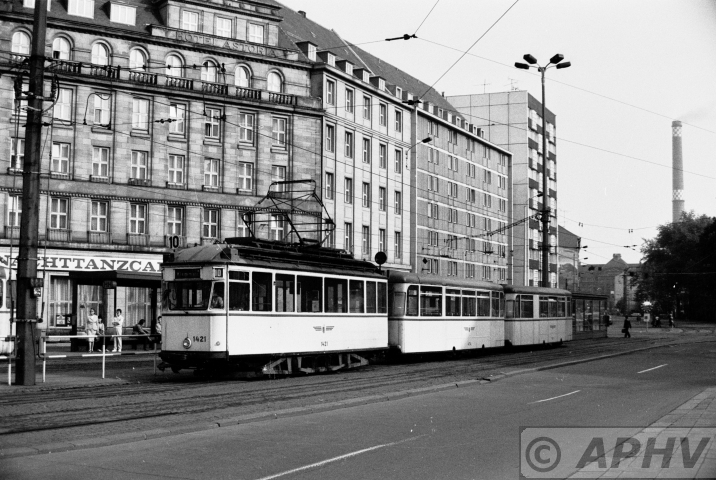 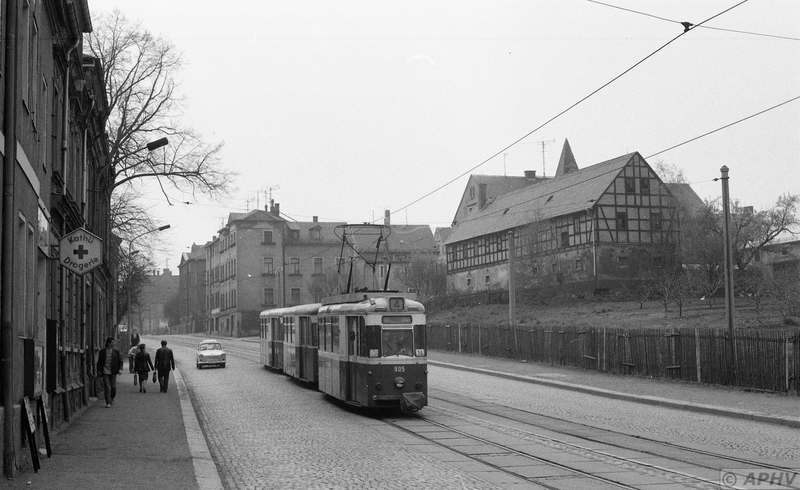 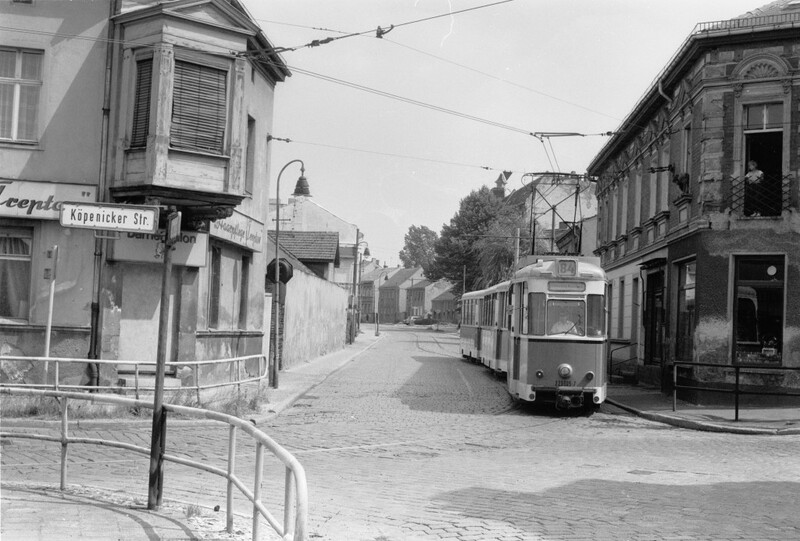 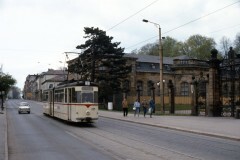 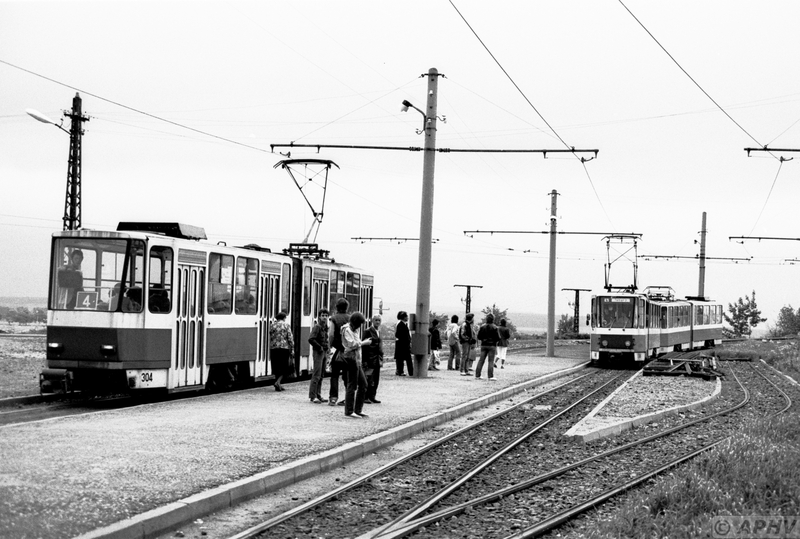 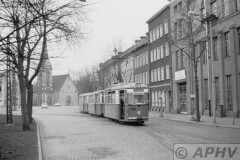 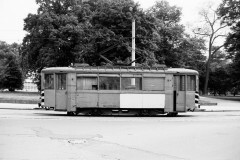 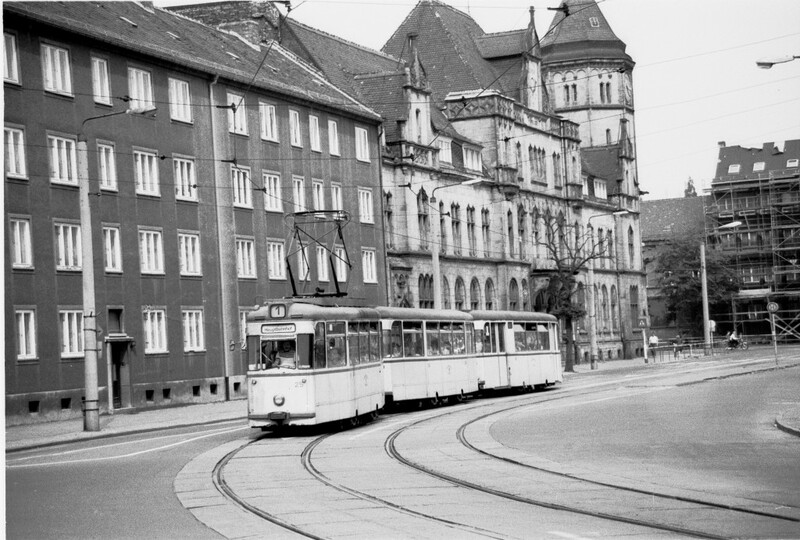 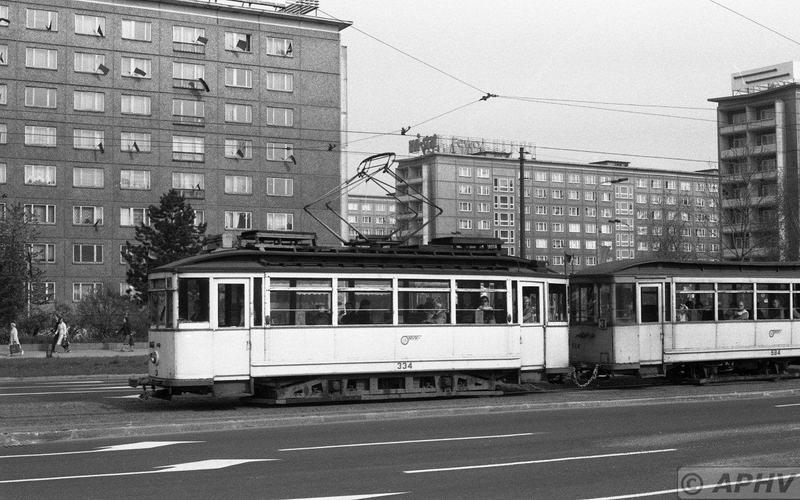 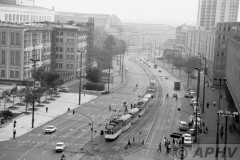 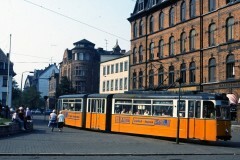 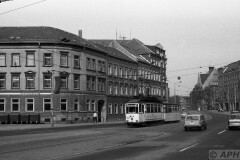 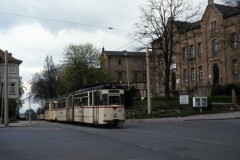 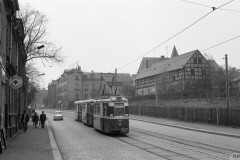 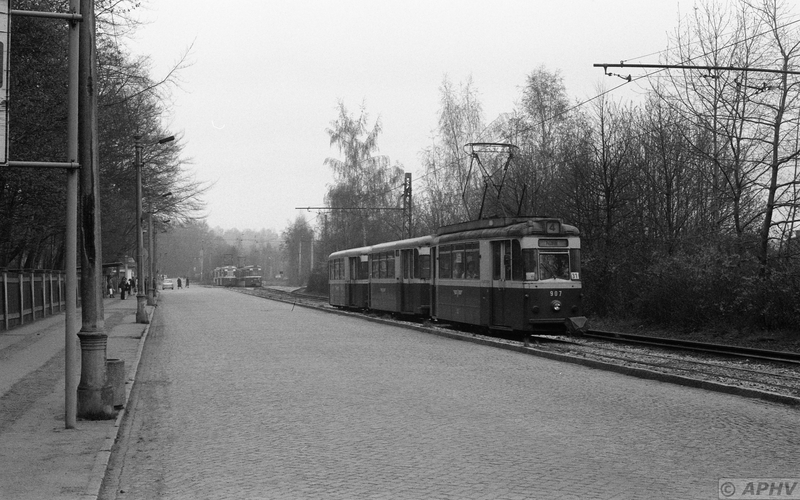 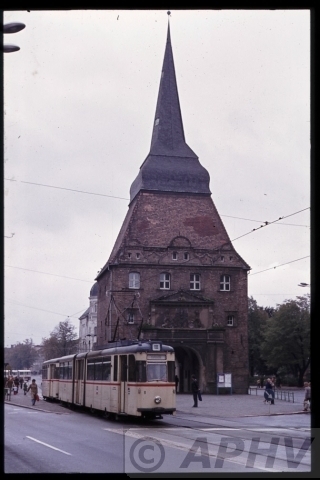 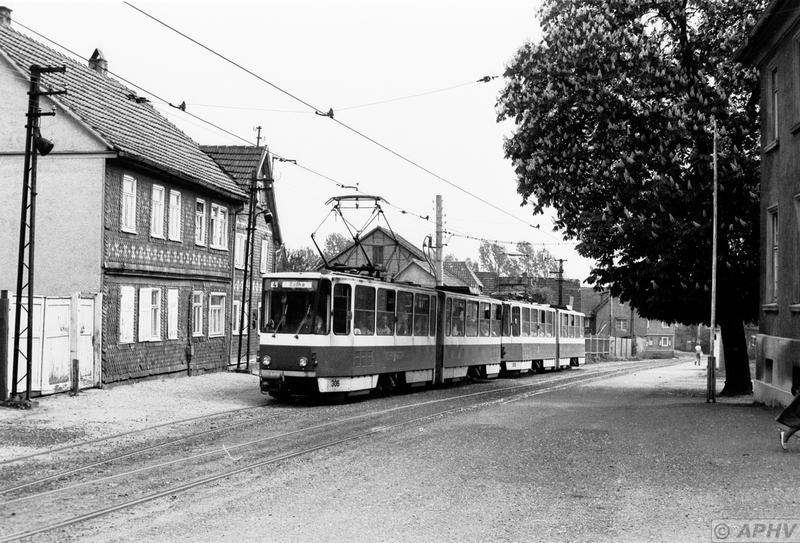 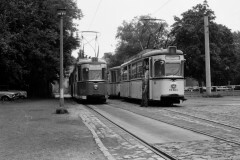 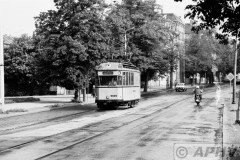 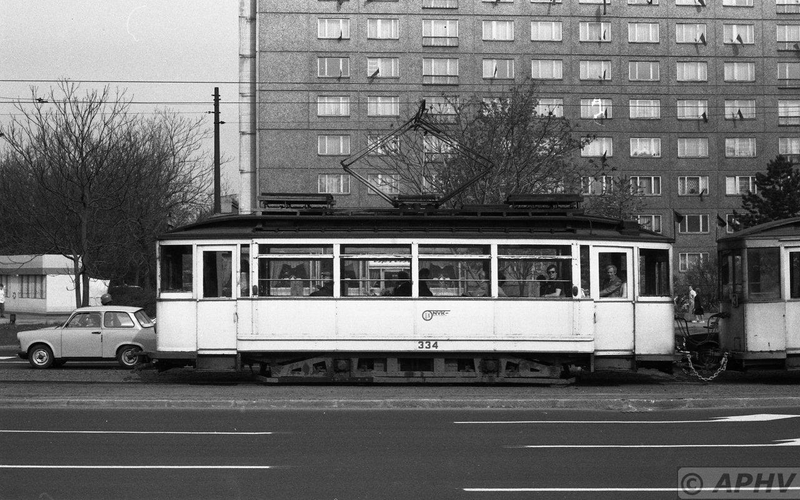 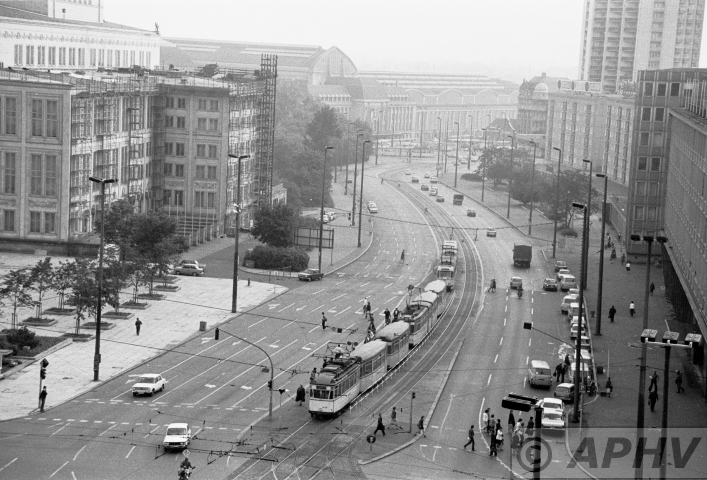 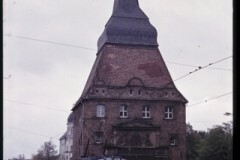 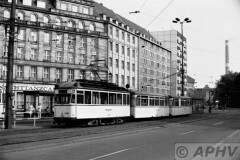 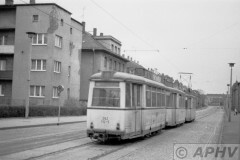 (13281) 18 April 1980 Gotha tram off line 4 leaving the city and on its way to Radebeul.